The Quartz Crisis, (also known as the Quartz Revolution), is a term used in the watchmaking industry to refer to the economic upheavals caused by the advent of quartz watches in the 1970s and early 1980s, which largely replaced mechanical watches. It caused a decline of the Swiss watchmaking industry, which chose to remain focused on traditional mechanical watches, while the majority of world watch production shifted to Asian companies that embraced the new technology. On 25 December 1969, Seiko unveiled the quartz Astron, the world’s first quartz watch. The first Swiss quartz analog watch—the Ebauches SA Beta 21 containing the Beta 1 movement—arrived at the 1970 Basel Fair. 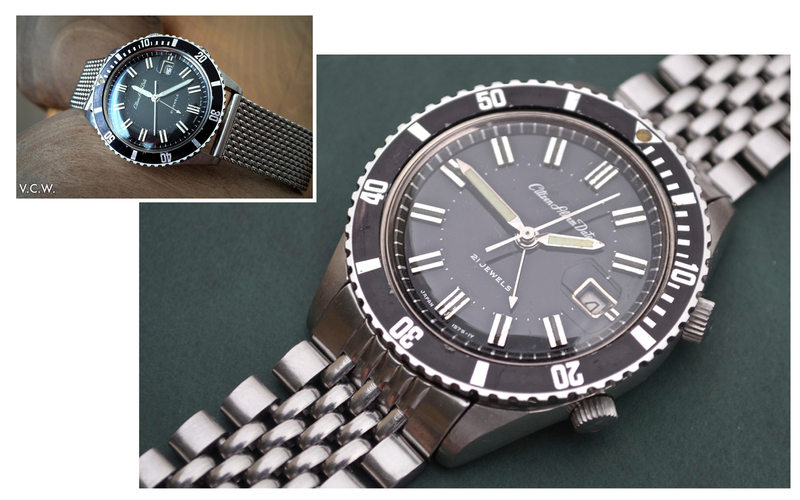 The Beta 21 was released by numerous manufacturers including the Omega Electroquartz. On 6 May 1970, Hamilton introduced the Pulsar – the world’s first electronic digital watch. In 1974 Omega introduced the Omega Marine Chronometer, the first watch ever to be certified as a Marine Chronometer, accurate to 12 seconds per year using a quartz circuit that produces 2,400,000 vibrations per second.In 1976 Omega introduced the Omega Chrono-Quartz, the world first analogue/digital chronograph, which was succeeded within 12 months by the Calibre 1620, the company’s first completely LCD chronograph wristwatch. At the same time Citizen was carrying it’s own war. Prior to this era the company was developing a lot of movements and interesting complications. Citizen production of quartz oscillators begun in March 1976 so the prints above are dating to the very heart of the war. Read more about Citizen history HERE. Here is of my favorite vintage watches! What can I say, I love diving watches! 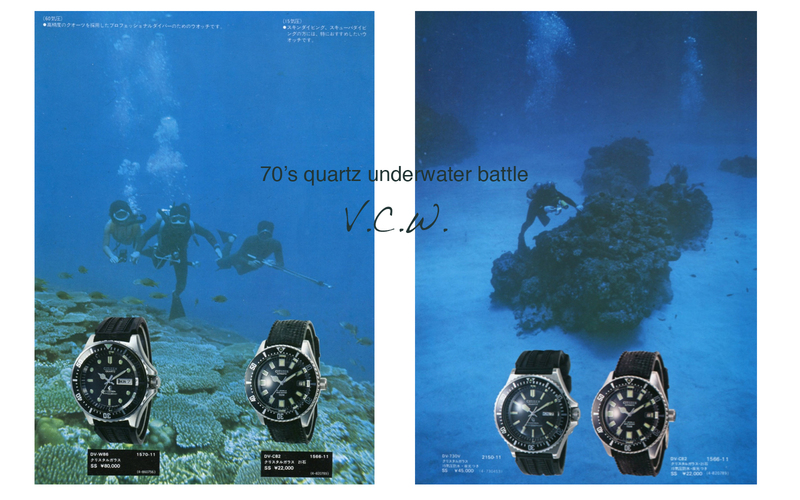 Despite the fact that it is not a real diving one, it is made in this style and has an added bonus complication. As one can clearly see, because is written on the black beautiful dial, in white lettering, this is an alarm watch, Citizen 63-7076. 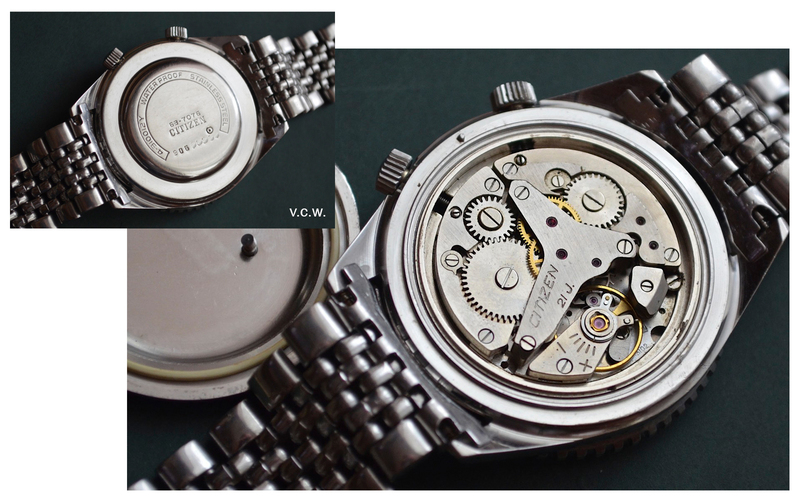 It is powered by the usual Citizen alarm date calibre, 3102 (engraved underneath the balance wheel). This is based on the USSR calibre AS 1475. 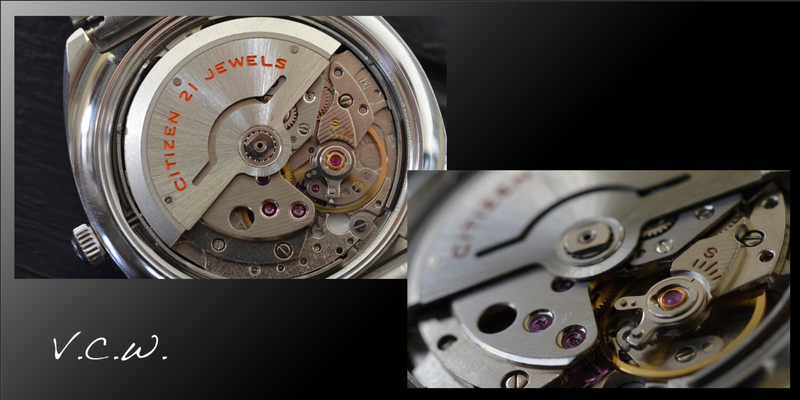 It is a manual winding movement, with 21 jewels running at 18000 bph. The watch has two crowns , signed “C”. The top one is for setting and winding the alarm while the bottom one is for setting the time and date and also winding the movement. The entire case is made entirely in stainless steel, the bezel is bidirectional frictional type while the crystal is domed acrylic with a date magnifier on the outer surface. I enjoy the fact that the watch looks good on any kind of bracelet or strap you throw at it (nato, rubber, leather, mesh…) Of course it looks good on the Citizen bracelet too. 🙂 The caseback is snap on type and for the alarm can work it can be placed only in a certain way. The active part of the alarm from the movement engages the passive part (the pin) of the caseback only if the two parts fit as they are supposed to. 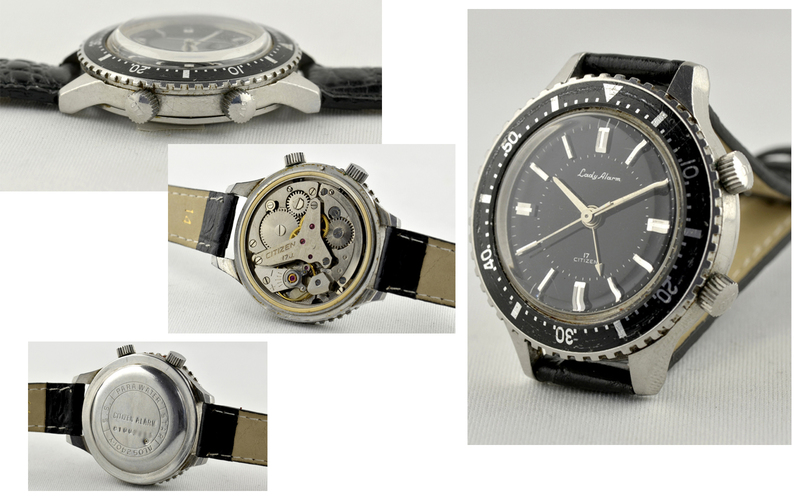 Citizen also made one for the ladies, so here are a few pictures I found online on e-bay posted by antiquewatches-de. This one is a smaller watch and doesn’t have a date (calibre 9812). The crowns are signed “CTZ”. This year, and the previous one, we saw a growing trend of “his and hers” watches, well Citizen did it so beautifully, 50 years ago! And such a beautiful vintage pair this is today!